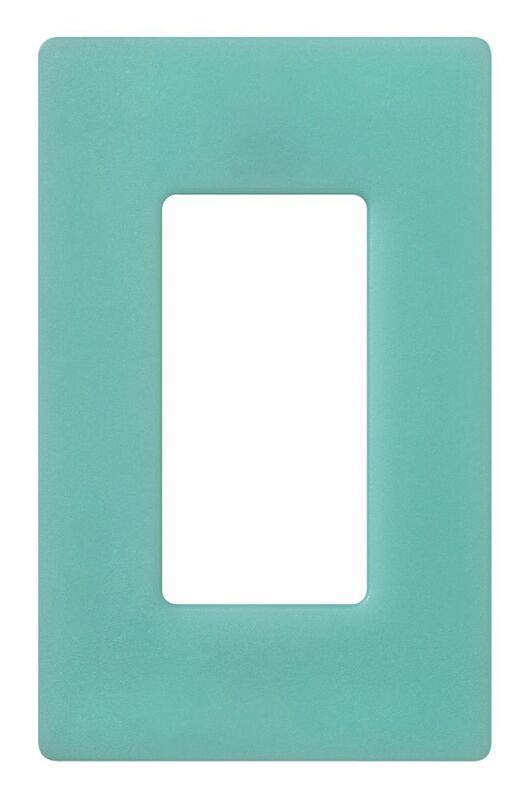 Claro 1 Gang wall plate, Sea Glass Claro wall plates are a simple and elegant solution designed to match your existing decorator opening dimmers, switches and accessories. They feature a clean appearance with no visible screws and mount flush to the wall. Claro wall plates are oversized to hide gaps around wallboxes and attach securely and snugly in place regardless of the wall condition. Claro wall plates are easy to install. Simply separate the front and back plates, attach the back plate to the wall with the screws provided and snap on the front plate for a clean and sophisticated look in just minutes.